What is your favorite season? The long, warm days of summer or the cozy and cold winter months? My most favorite season – the season that does it for me more than nay other time of year – is football season. When we talk about “the season” in my house we aren’t referring to spring or fall – we’re referring to the stretch of the calendar from August to January – where Saturday events are scheduled around our favorite teams’ kickoff time. Football is part of the tradition of my family – and one I’m happy to pass along to my daughter. At almost-four, she loves the Saturday ritual that comes along with football, mostly I think because of the football food! Every game means easy-to-eat and super-easy-to-make bites and a “third quarter treat”. We stock up on easy to make and delicious treats and use halftime (sometimes the end of the second quarter) to mix up the monotony of mama coaching-from-the-couch and stretch her interest into the second half of the game. 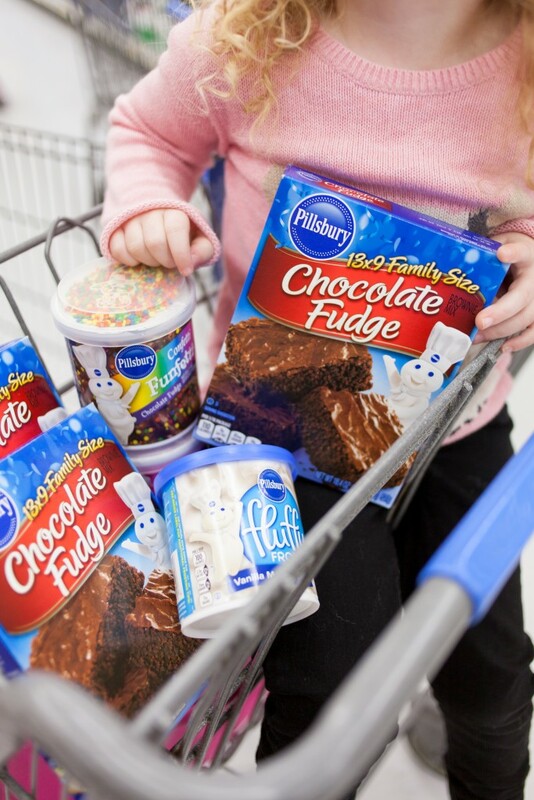 Wal-Mart always has a huge selection of super affordable Pillsbury brownie and baking mixes and frostings and it’s not uncommon to find several boxes and cans in our cart! 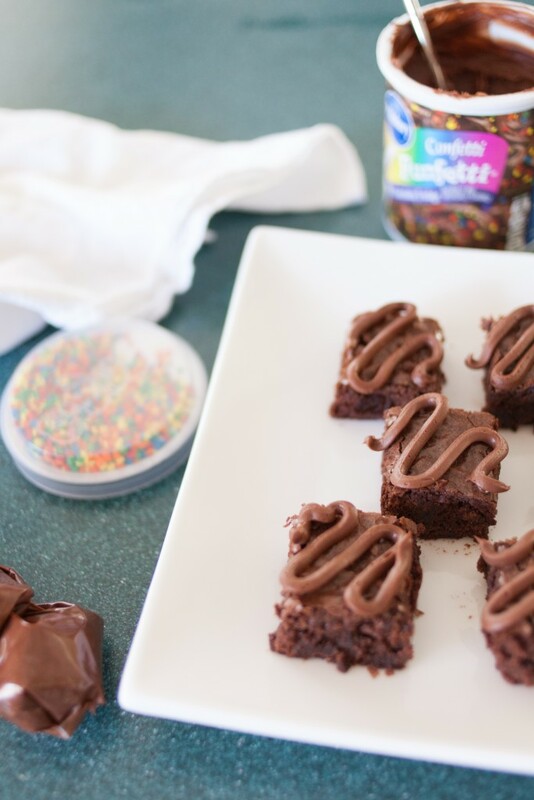 Quick Tip: Sign up for Ibotta and get a coupon for .75 cents off any 3 Pillsbury frosting, cookie, cake or brownie mixes. With games that stretch to three hours, my little one often needs a little one on one attention from mom or dad before the game is over. So we make halftime baking a thing and it has become a very important part of our gameday rituals. There is no other way I’d rather reconnect than baking something in the kitchen. Pillsbury brownies are on the top of our list. With only three ingredients to measure and one bowl to get dirty, I don’t stress about a mess in the kitchen or a missing ingredient! My husband is not a baker – and even he gets in on the action (and clean up!) which is why I really like having several boxes on hand. 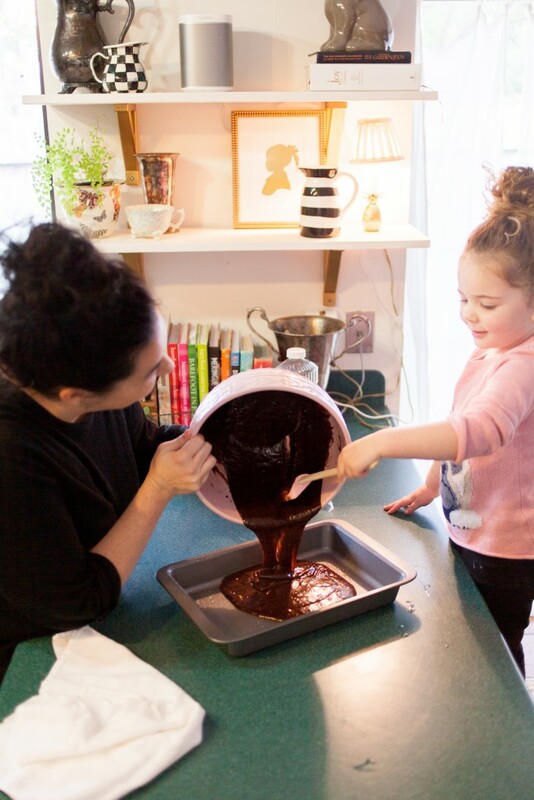 There is nothing better than coming home from a photo shoot or board meeting to find those two waiting by the oven with a pan of fresh-baked brownies! To take it up a notch, I like to use some Pillsbury frosting in a plastic storage bag and make a frosting squiggle across the top. 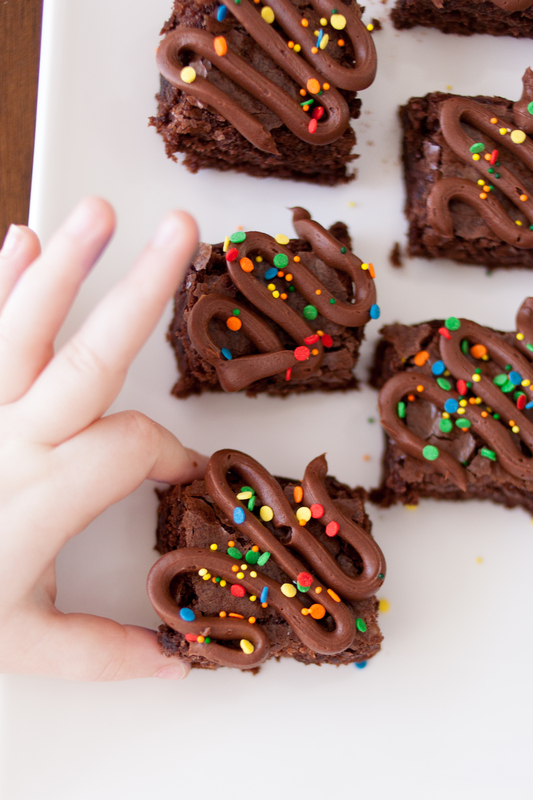 The confetti sprinkles are, well, the icing on the brownies. 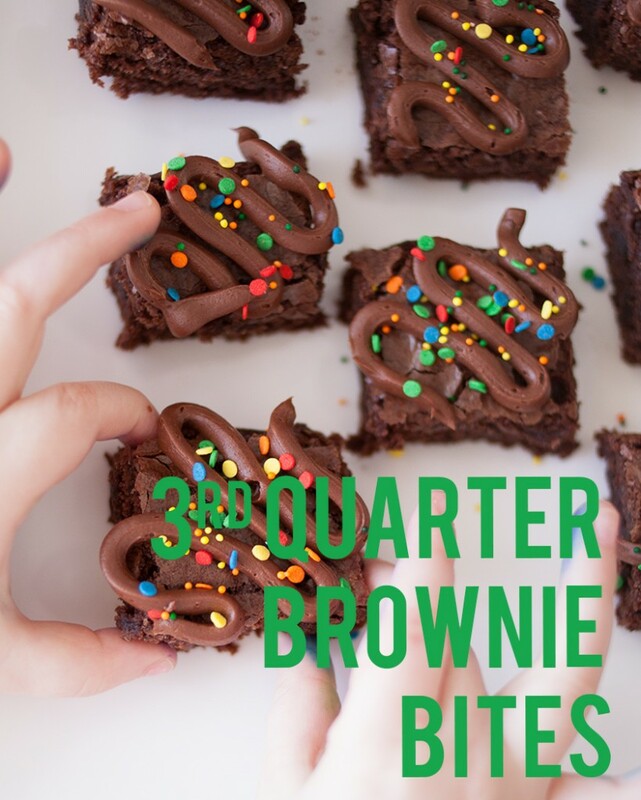 By keeping it simple, fun, and fast (and bite sized, so I can eat a half dozen or so) we mix up a moment together on game day and reconnect during our 3rd quarter brownie tradition. If you love brownies, you’ll LOVE what we have up our sleeve for Valentine’s Day. Be sure to stop back by, I can’t wait to show you the goodies we are making! Looking for some more gameday brownie inspiration? 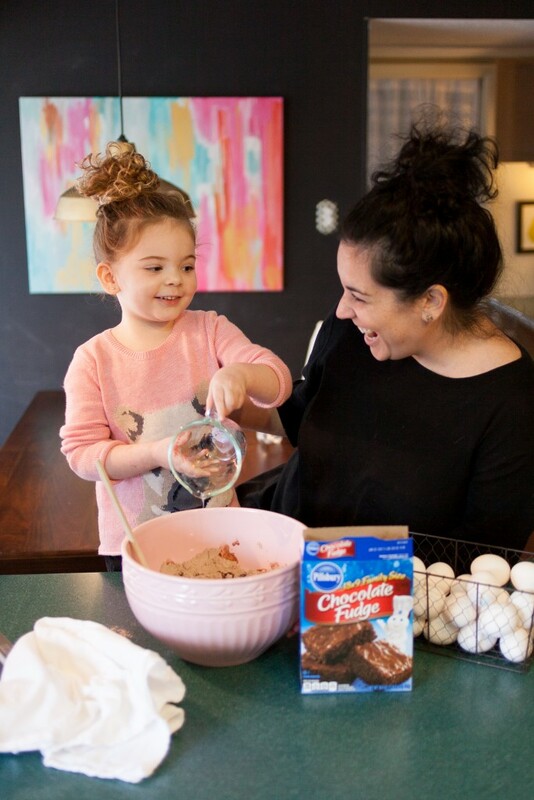 Be sure to check out the Pillsbury Mix Up A Moment Pinterest board for lots of cute ideas from our friends and other bloggers also working with The J.M. Smucker Company on this campaign. This is a sponsored conversation written by me on behalf of The J.M. Smucker Company. The opinions and text are all mine. Amanda is 1/3 of Handmade Mood - a place for beautiful inspiration, delicious recipes, and high impact DIY’s. She’s also former elementary school teacher with a Masters in Early Childhood Education who followed her love of photography to a professional career as a family photographer in San Antonio, Texas.